DigitalGeorgetown is the unified portal for Georgetown University’s institutional repository and digital collections, providing online access to scholarly academic resources, rare and unique digitized special collections, and more. 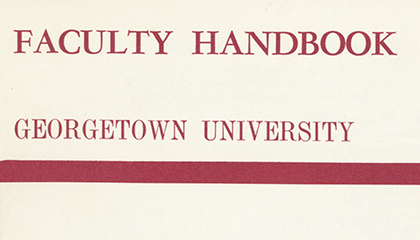 Georgetown University produced its first faculty handbook in 1957 as a means of informing faculty about University objectives, organization, policies, benefits, and grievance procedures. Many of the handbooks also include a campus map and the constitution of the Faculty Senate. The DigitalGeorgetown Institutional Repository is a service of the Georgetown University Library that preserves and makes available scholarly research by Georgetown's faculty, staff, and students. The open access repository includes conference papers, images, peer-reviewed scholarly articles, technical reports, theses and dissertations, working papers, and more. 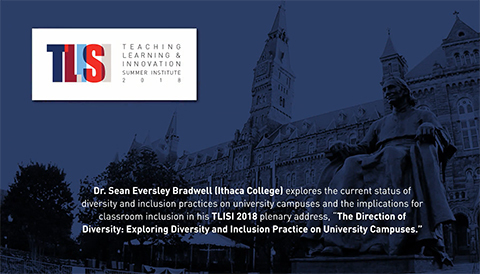 The Teaching, Learning & Innovation Summer Institute (TLISI) brings together Georgetown faculty and staff each year to participate in numerous sessions, keynotes, social hours, lunch presentations, and multi-day workshops on topics related to teaching and learning, including (but not limited to) innovative pedagogy, technology enhanced-learning strategies, teaching to the whole person, and the intersections of diversity, inclusion, teaching, and learning. This collection contains filmed workshop sessions and keynote addresses that were produced and made available to Georgetown faculty, staff, and students. Throughout game studies scholarship, the term “gameworld” has often been used to contain two notions simultaneously: the navigable virtual space of a videogame and the collection of characters, settings, and events represented by a videogame’s audiovisual output. 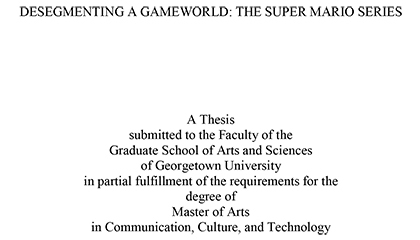 Resisting this haphazard use, this study closely examines five videogames in the Super Mario series and presents its findings in context of two theories of gameworld: Seth Giddings’s theory of gameworld and Kristine Jørgensen’s theory of gameworld interfaces. 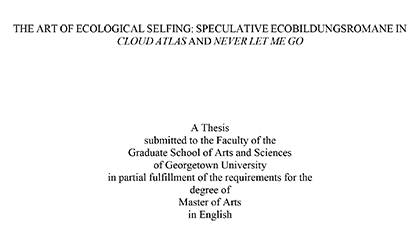 This study employs two methods of analysis: iterative game analysis, a method that strategically utilizes the save state affordance of console emulators, and comparative game analysis, a method that uses a wide range of analytic tools across sets of other media forms and videogames. Chapter 1 offers an analysis of Super Mario World, the most salient feature of which is its interface metaphor: the world map. Chapter 2 investigates techniques used to segment gameplay, space, time, challenge, and narrative across Super Mario Bros. 1, Super Mario Bros. 2, Super Mario Bros. 3, Super Mario World, and Super Mario World 2: Yoshi’s Island. By investigating techniques of segmentation across a range of games that constitute the same gameworld, a method of analysis I am calling “desegmentation,” this study aims to make more robust the theorization of gameworld and future study of videogames. 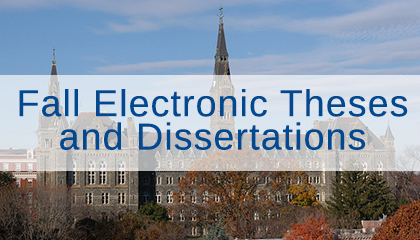 DigitalGeorgetown is a repository service offered and administered by the Georgetown University Library that provides access to scholarly content and unique digital resources. In production since 2009, the repository includes over 500,000 unique digital objects across more than 100 collections, and serves as a central place where Georgetown faculty, researchers, students, staff members, and librarians entrust the stewardship of their scholarship and other digital content. With an emphasis on curation and preservation, DigitalGeorgetown furthers the Library’s mission to shape the creation of knowledge, conserve culture for posterity, and transform learning and research. DigitalGeorgetown is powered by DSpace open source repository software. Please contact us to learn more about DigitalGeorgetown.